A popular gout medication has been linked to very serious side effects, including death from cardiac events. The medication is so dangerous that the FDA has now told doctors that they should only prescribe it as a last resort for patients who aren’t responding to any other medications. Ring of Fire’s Farron Cousins discusses this product, Uloric, with attorney Wesley Bowden. Click here to learn more about Uloric lawsuits. Farron Cousins: You know, every so often we get new reports coming out about yet another dangerous pharmaceutical on the market, a pharmaceutical basically that also shouldn’t exist because there’s already decent generic, cheaper alternatives available. But Big Pharma always wants to turn an additional profits. So they always keep coming out with brand new drugs to treat the same old things they’ve already been treating for 40 or 50 years. Farron Cousins: Gout is actually fairly more common than most people think. It’s not something we typically think about. Gout, you know, is a, a disease that existed a long time ago, but it’s still around. It’s a very painful form of arthritis. So, you’ve got drug companies come out and say, hey, we’ve got this great new drug Uloric. You’ve been depending on this generic version for 50 years, try our new drug because it’s, it’s just, it’s better isn’t it? It’s, it’s always just better. Wesley Bowden: Right. Yeah, so and Gout is a, is a, is a more prominent disease and most people would realize, but it’s also a very manageable disease. And historically there have been medications that are very effective in treating gout that have been on the market for literally decades. So what we have here is Uloric, is a, manufacturers come into the market and say, we see a way that we can make money by selling are much more expensive drug. And what they did was when they took this drug to market, they added some warnings. But the warnings weren’t in line with what the real world feedback was. And so as of about 30, 60 days ago, the FDA has required increased warnings for Uloric. Much stronger warnings than what are currently in place for the generics. Farron Cousins: So what kind of additional warnings are we now going to have on this particular medication? Wesley Bowden: So on this medication, the FDA, based on data they got from the company and from treating physicians throughout the country, what was required to happen is that as they see adverse events, they have to report them to the FDA. And these adverse events started piling up and piling up and piling up, eventually the FDA said, we might have a problem here. We need to take a closer look. When they took that closer look, they found that Uloric specifically had an increased risk of cardiovascular related death as compared to the generics. Because of that, they’ve required that Uloric add a new warning, advising patients, advising doctors that this drug has a higher risk profile than the other medications. And just as importantly, they said, don’t give this drug to your patients unless a generic does not work, which is really a rare warning to add to, to any sort of pharmaceutical product. Farron Cousins: It’s almost like the warning is telling doctors don’t describe, prescribed this drug unless it’s 100% necessary. You know, you’ve been handling these cases for a long time. I’ve been talking about these stories for years now. I don’t know that I’ve seen that yet. The FDA actually telling doctors, do not give this to people unless it’s your last resort. To me that says a lot. And you know, for a lot of people you’re going to do just fine on the generic. Farron Cousins: But as we have said so often, the pharmaceutical companies come in, they see any market out there, whatever it is, and they say, those aren’t patients, those are profits. That’s money sitting on the table out there. So let’s come up with this drug that’s slightly different from the generic, different enough to get us a new patent for it. Farron Cousins: Which lasts 10 to 20 years, and we’re the only industrialized country that, that does that. That grants these decades long patents before generics can come out. But we already had their generic, this was 100% unnecessary. And that’s, that’s what I think people need to understand. Not only could it kill you according to the adverse event reports, it wasn’t even a necessity. It’s more expensive. All around, we’re talking about something very dangerous that consumers need to be aware of. And that, as you pointed out, up until 30, 60 days ago, they didn’t know about this. But this thing got approved for the market for release in February of 2009. That’s 10 years of people taking this, not knowing that this was a possibility. Wesley Bowden: That’s right. Yeah and there’s a very small percentage of people for which the generics do not work. But of course that’s not the way they’ve marketed and sold this drug. 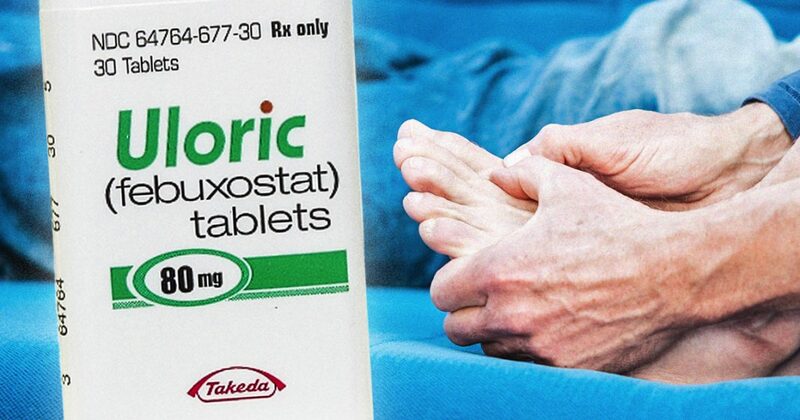 They’ve sold the drug as the latest and greatest, the most up-to-date drug that you can have for gout medication. We know that the other generics are, they work, they’re cheap, they’re affordable, they’re widely available. What this company has done is they’ve tried to make a market where there wasn’t a need. And so as a result of that, the FDA has taken action to curtail that. And anyone who’s taking this drug, I would encourage them to talk with their doctors and see if that’s the right medication for them. Farron Cousins: You know, and Mike Papantonio frequently likes to say, don’t take a drug unless it’s been on the market for 20 years or more. Farron Cousins: Because, you know, these, these pharmaceuticals, it’s not like the latest cell phone that comes out once a year. It’s not better, more improved. Some of these carry very serious risks, and in the case of pharmaceuticals, newer does not necessarily always mean better. Wesley Bowden, I appreciate you taking the time to talk to me today. Wesley Bowden: Thanks for having me.